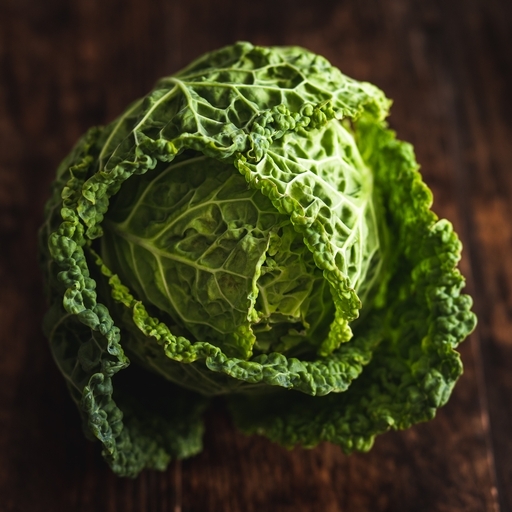 Never mind the latest superfood, we believe in the redemptive power of the cabbage. Savoy is one of our favourites – with robust dark green leaves and a strong flavour. Ideal for inclusion in slow-cooking soups and stews, or simply boiled and buttered. Cabbage is a versatile veg: shred into stir-fries, curries, soups and stews. Robust and forthright, Savoy is a good candidate for a gratin. Briefly boil the shredded leaves. Sweat an onion, add garlic and chilli, then the cabbage and a very generous splosh of cream. Season, spoon into a gratin dish, sprinkle with breadcrumbs and Parmesan and bake for 20 mins until golden. In season from July to March. At its very best between October and February.